As I’ve mentioned on here before, my husband is obsessed with golf. And if you know golf, then you know that this is a very special weekend. 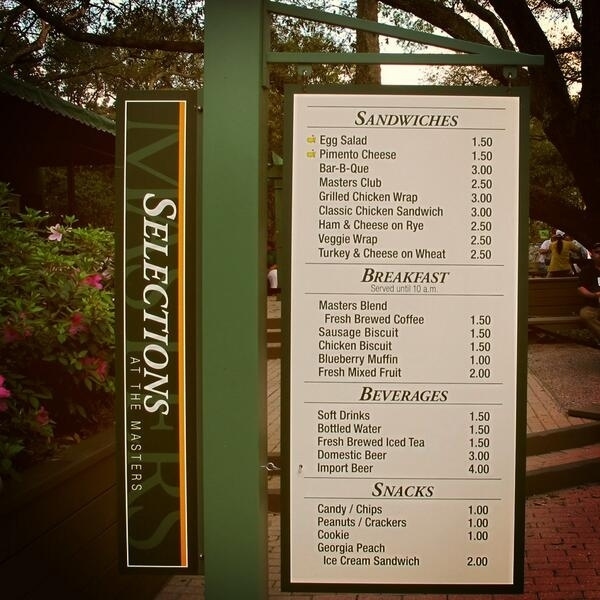 It’s Masters weekend. In my house this means a lot of golf on the TV and a lot of giggling on my part as Thomas waxes poetic about the beauty of the golf course, the “hallowed ground” (his words) at Augusta and speaks with reverence about the traditions of the game. One of those traditions is, of course, the pimento cheese sandwich. This sandwich and the egg salad sandwich are very traditional items on the menu and everything on the menu is really very cheap. It’s tradition, I’m told, and that’s a tradition I can get behind. So what does this all have to do with rosemary potato chips? For the opening day of the tournament I decided to make a dinner that centered on a pimento grilled cheese. For sides: mixed greens and rosemary potato chips. Grilled cheese and mixed greens are pretty straightforward, so I am offering you tips on how to make the homemade chips. There are a few tricks but for the most part it is pretty easy. Assemble your tools. It’s much better to use a deep fryer for this but a cast iron pot works too. The downside of the cast iron pot is that it is messier, the upside is that you don’t need as much oil. Since I was only making chips from one potato I opted for this method. 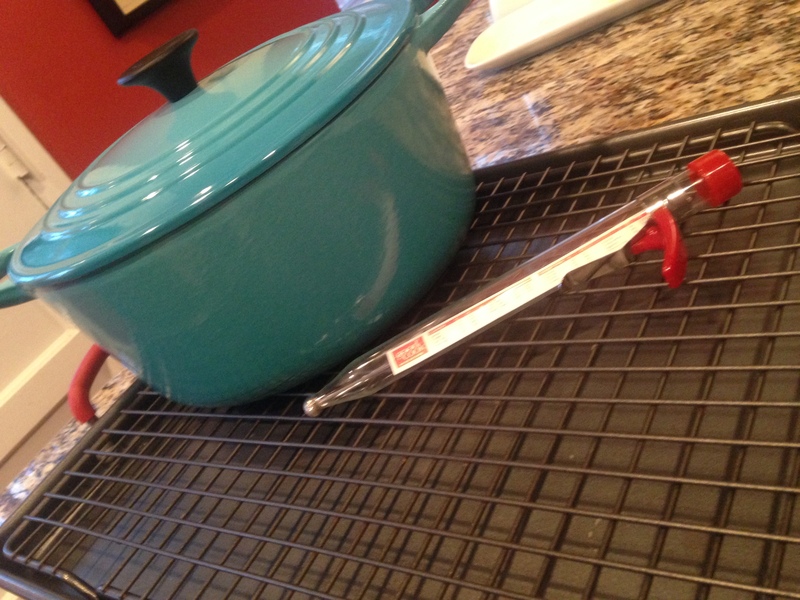 You also need a candy thermometer and a tray like this with a rack to keep the chips warm while allowing for air circulation. You will also want a set up like this and LOTS of paper towels. So many paper towels… You will use them to press water out of the potatoes and also to drain the chips. You will also need something to get the chips out with. If you use a deep fryer this is a non-issue because of the basket. 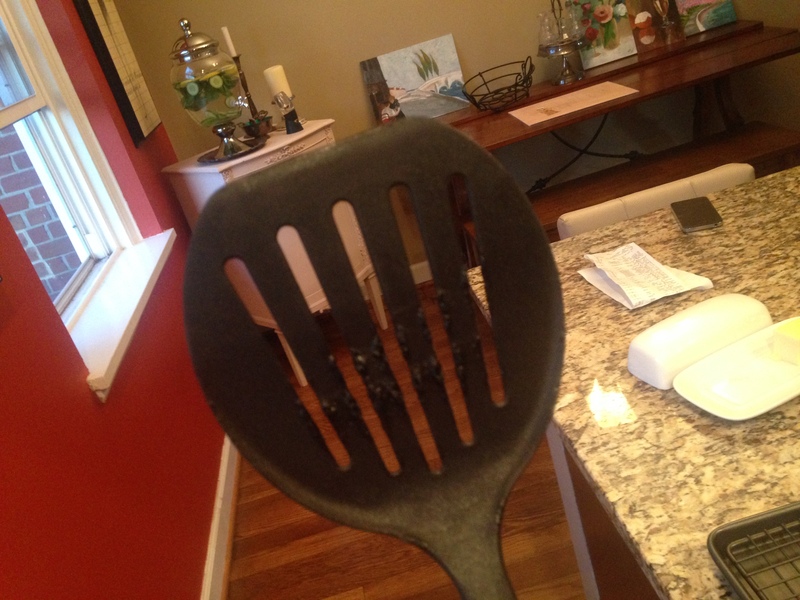 If you are using a pot the ideal tool is a spider skimmer. I didn’t have one so this was an ok substitute. 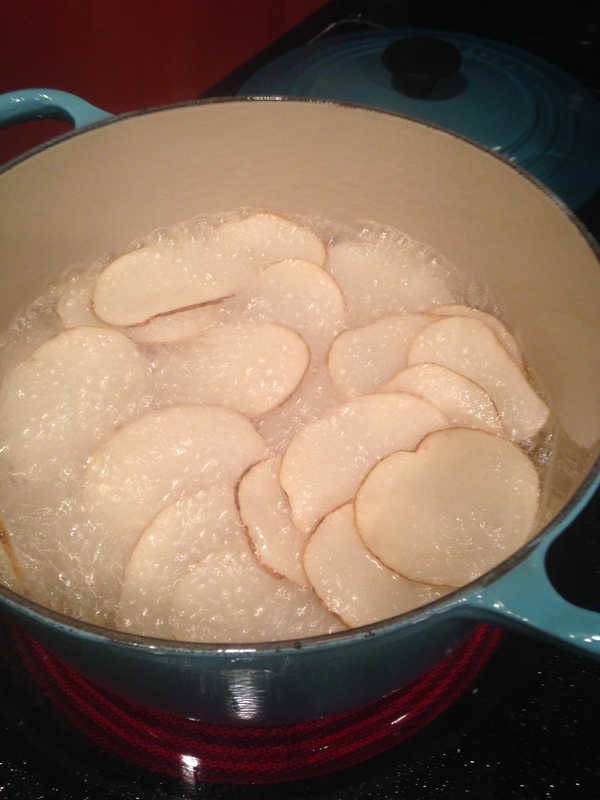 Step one: Slice potatoes on a mandolin and soak in cold water and white vinegar for at least one hour (a few hours is even better). 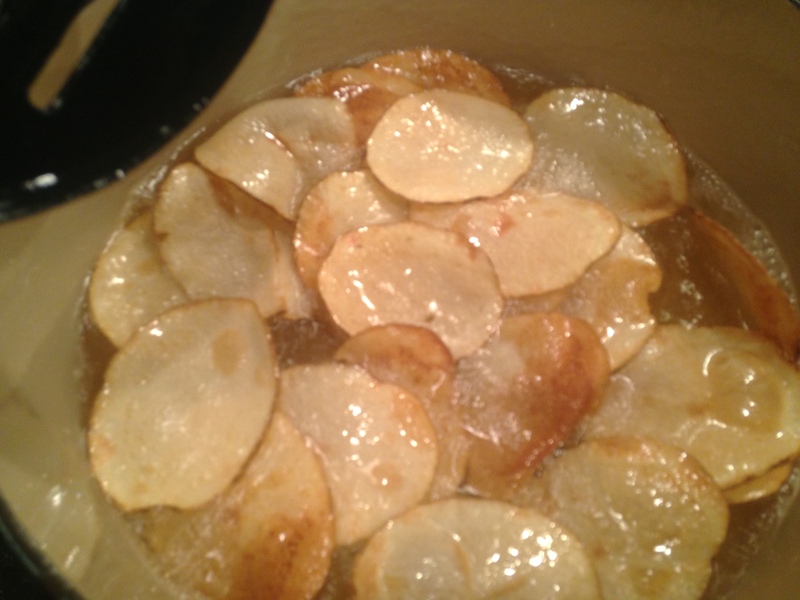 I add a few dashes of vinegar because it helps get more crispy chips, you won’t taste it at all. Soaking in water is VERY important because it pulls the starches out of the potato and starch is the enemy of crispy chips. 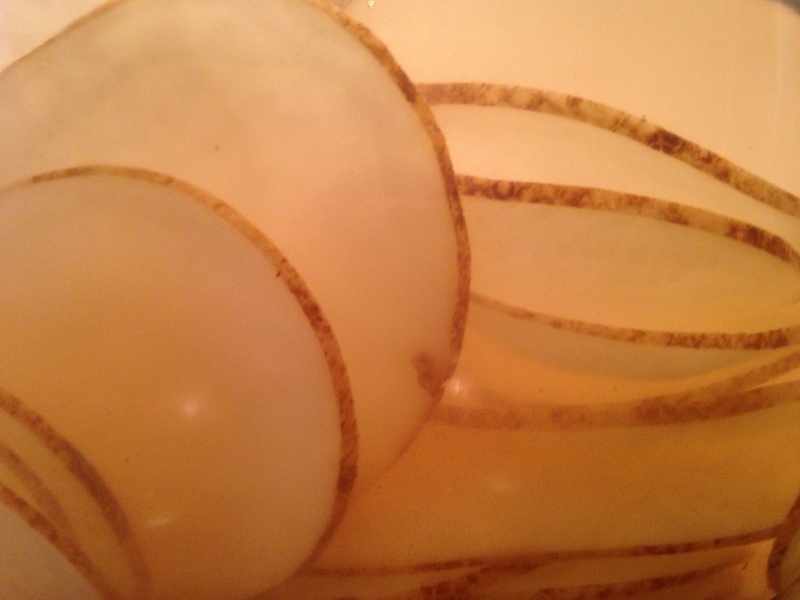 If soaked long enough, the slices will come out feeling crisp and will have a bowl shape to them like this. The water will also be very cloudy with a lot of white sediment at the bottom. Next, heat up your oil to 375 degrees. DO NOT put the chips in unless the temp is this high. And this is the girl who usually just throws stuff into the oven without preheating. In this case, it is important. 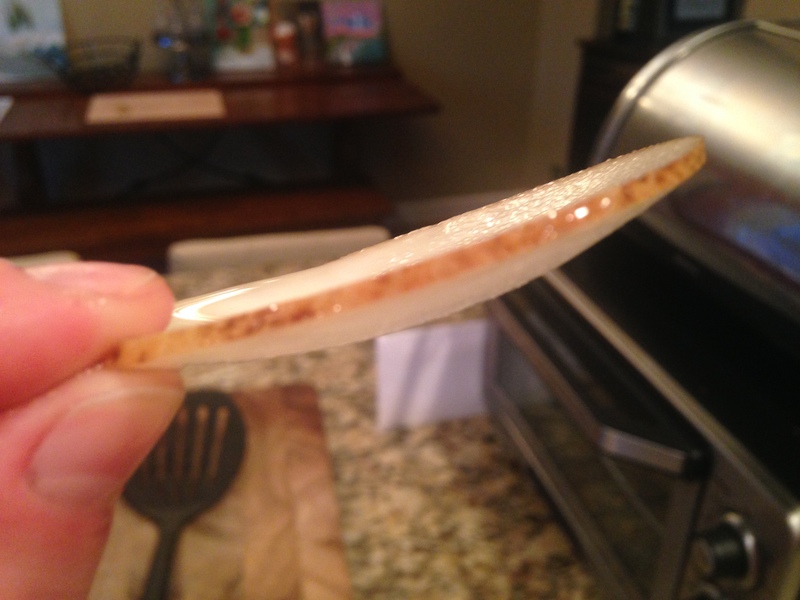 If your oil is too cool then the potatoes will absorb the oil and not fry properly. Result: soggy, greasy chips that are actually higher in fat content. As soon as the chips hit the oil they should sizzle and bubble. Stir them often. I have about 3 inches of oil here and each batch cooked for about 4 minutes. Your chips will get to this point and you’ll think “that looks like chips, time to take them out!” Don’t. While these look like Lays chips in color, they have not crisped up enough yet. Wait another minute or two. And before putting the next batch in, make sure the oil temp is back up to 375. The final product! 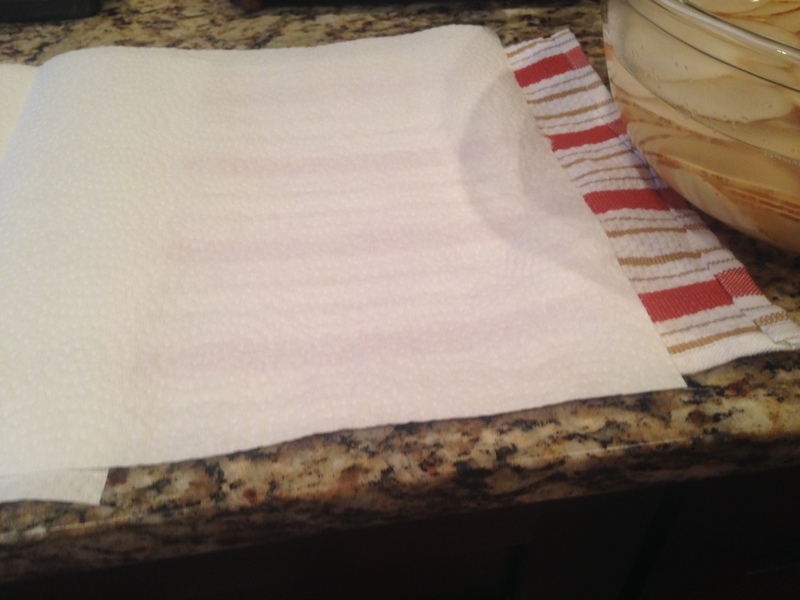 Drain on paper towels and salt them immediately. Then put them on the baking sheet, sprinkle with rosemary and put them into a warm oven while you cook the next batch. 4. Immediately season the chips with a generous sprinkling of salt and rosemary. If you’re into the cracked pepper idea, add that to. It’s good. 5. 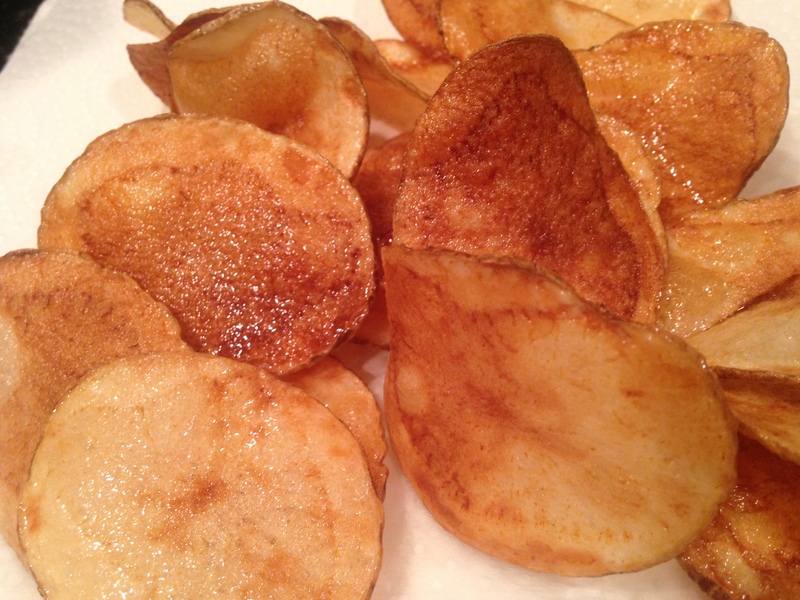 Place chips on baking sheet in oven to stay warm and repeat steps until you’ve fried it all up.